When IBASE Technology Inc. was tasked with creating a new kind of bedside terminal for use in hospital patient care, the result was a pure-purpose machine used for patient information and video-on-demand that could replace a variety of other hospital systems. And while this application was great for budget-limited hospital situations, we knew we were onto something big. So we worked from that lower-budget starting point and created a new device with uses ranging from hospital staff medical file access to patient infotainment. The result is a multi-touch bedside terminal, called the BST-1850, which is currently in use in three hospitals in Japan and Spain with more than 1000 units sold. The bedside information terminal is practical and powerful. We built it atop the 1.6 GHz, AMD G-Series T56N Accelerated Processing Unit (APU) to give the terminal both processing and graphics muscle so that it can handle myriad uses and applications—from patients who want to do online gaming to physicians wanting to examine a video replay or 3D scenography. The AMD CPU had better thermal performance than competing solutions we looked at, and it offered the correct price/performance we needed for this application. One of the most important considerations for us in developing the BST-1850 was that it had to serve two equally important constituencies. For patients, the BST-1850 is a device they can use for watching television and movies, surfing the Internet, gaming, placing orders at the hospital shop, making phone calls, choosing meals, accessing email, paying their hospital bill and viewing hospital information such as facilities guides. The medical staff puts the device to use in other ways, including accessing it as a portal to the patient’s electronic health records, for instance, or monitoring vital signs. They also use it as an input and review device for the treatment regimen. The system can be set up so it will alert staff to a patient’s specialized dietary needs quickly, so they can review orders from the physician, and more. The goal is that the BST-1850 will lessen the burden on doctors and nurses. Because it’s used for viewing all kinds of information, the system includes a projective, capacitive multifunctional, slim, LCD (16:9) 18.5” touch screen (1366 x 768) with a front panel ingress protection (IP) rating of IP65. The unit operates on a 12 VDC power supply, and weighs in at just under 10 pounds for the monitor and about 5.5 pounds for the main body. It has built-in cellphone-level functionality, as well as a 16 Gbyte solid-state drive (SSD) and 2 Gbyte DDR3-1066 memory. We created the BST-1850 to support a variety of input/output modules. A 1.3 megapixel Web camera, 2W + 2W speakers, IC card readers, 2D barcode readers and RFID are all standard input/output devices. Interfaces include Bluetooth, IEEE802.11 n b/g standard wireless LAN, two LAN interfaces, four USB 2.0s (two on the main body and two on the terminal), two SATA 2.0 interfaces, as well as audio in (1 port) and audio out (2 ports). It operates between 32° and 104°F, and can be stored in temperatures ranging from -4° to 176°F. The unit can withstand humidity of between 10% and 90% at 104°F. We also designed the BST-1850 with local area network and wireless connectivity support, so there can be two-way transfer of real-time information between the terminal and the nursing station or other areas of the hospital. The physical integration between the terminal and the hospital’s existing medical software typically is handled by the hospital’s service provider or IT staff. 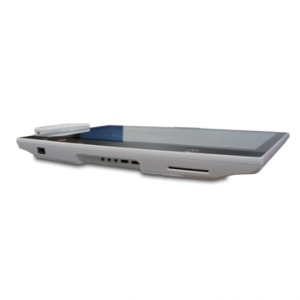 The system is expandable for options such as fingerprint scanners, IP phones or other peripherals, depending on the customer’s needs. For instance, a built-in Webcam (with privacy shutter) can facilitate physician joint consultation via Skype between different divisions in hospitals or small clinics or with the patient’s family members. Because it conducts so many types of functions, we view the BST-1850 (with its various expandable options) as a replacement for nearly a dozen other systems one might typically see in a hospital setting: IC card readers used for accessing patient information and through which nurses and doctors log in and check in; barcode readers, used for accessing patient information; fingerprint authenticators, used for security and identification purposes for accessing patient information; medical touch panels; patient bedside record keeping devices; cameras with network connectivity for bedside real-time monitoring; emergency handsets for call communications; emergency call buttons; television displays; stereo speakers; and microphones for hands-free communication. 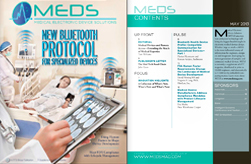 Future features we are considering include having voice noise cancellation with stereo Bluetooth, and voice control and wireless entertainment capabilities for patients who are physically unable to handle the standard control system. The design of the unit is also one of its greatest differentiators. Unlike other medical bedside terminals, the BST-1850 is not an all-in-one design. The bedside terminal with its 10-point multi-touch panel can be placed on a table or in a cantilever position on a swivel arm. The unit’s separate control box is secured to the wall, which allows us to keep the bedside unit small while also keeping any residual heat from the unit away from the patient—significantly reducing potential patient injury—since the terminal generates almost no heat. The screen and wall units are connected via a customized cable that can convey low-voltage differential signaling (LVDS), USB, power and control signals. The unique design also limits the weight of the unit; the display terminal is at least twice as light as all-in-one systems, making it easier to move around or carry. With malfunctioning medical devices considered “one of the leading causes of serious injury and death in the U.S. between 2006 and 2011, and with 23% of the recalls reported due to computer-related failures,” according to an article in IEEE Security & Privacy, “Analysis of Safety-Critical Computer Failures in Medical Devices,” we believe having the system divided into two separate pieces makes sense. The unit secured to the wall handles the processing power and is less prone to failure because it is not being jostled or carried around, and it better protects the hardware. And, more importantly, as noted in the same report, with approximately 94 percent of computer-related failures presenting “medium to high risk of severe health consequences (such as serious injury or death) to patients,” it also makes sense from the patient health perspective. Additionally, the unit was designed to meet the UL-60601-1 safety regulations. While it is designed for bedside nursing care, the BST-1850 also has applications in clinics, for instance, where it can be used for designated applications such as patient screenings. 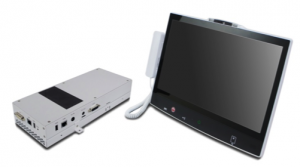 Because safety is paramount in the medical field, we designed the bedside medial information terminal to meet the exacting safety requirements of a healthcare setting. For instance, the system’s touch screen is made to be easily disinfected and cleaned to keep it medically sterile. The plastics used in building the system are certified anti-bacterial and dust-proof, as well as chemical and alcohol wipe resistant. For privacy considerations, the webcam includes a mechanical shutter the patient can close for privacy. The camera can be disabled altogether as well. The approximate overall dimensions of the terminal are 18” x 14” x 1.4”, while the main body is about 5” x 12” x 2.4”. IBASE is committed to delivering innovative, practical and dependable solutions for an ever-evolving industrial computing landscape. 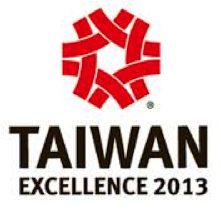 For more information, please visit http://www.ibase-usa.com. *Source: IEEE Security & Privacy, “Analysis of Safety-Critical Computer Failures in Medical Devices,” July-Aug, 2013 (Vol. 11. No. 4), by Homa Alemzadeh et al.